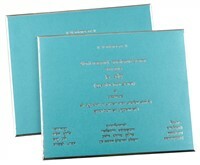 D-6278, Blue Color, Shimmery Finish Paper, Laser Cut Cards, Exclusive Invitations, Birthday Invitations. 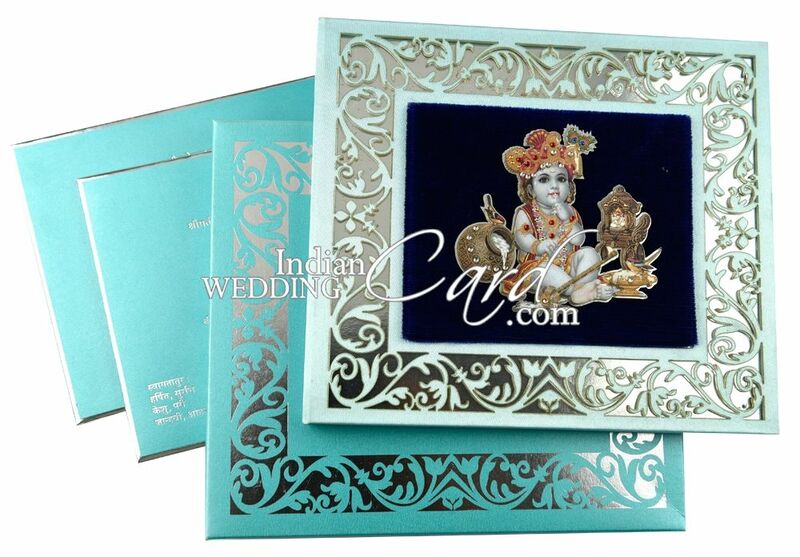 Light blue satin fabric for thick hardbound card. 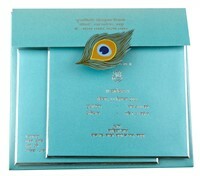 Light blue and Turquoise blue shimmer paper combination for rest of the things. Intricate lase cut border on plexi glass. Front Motifs also on plexi glass. 2 Thick inserts and double pasted mailing box envelope.